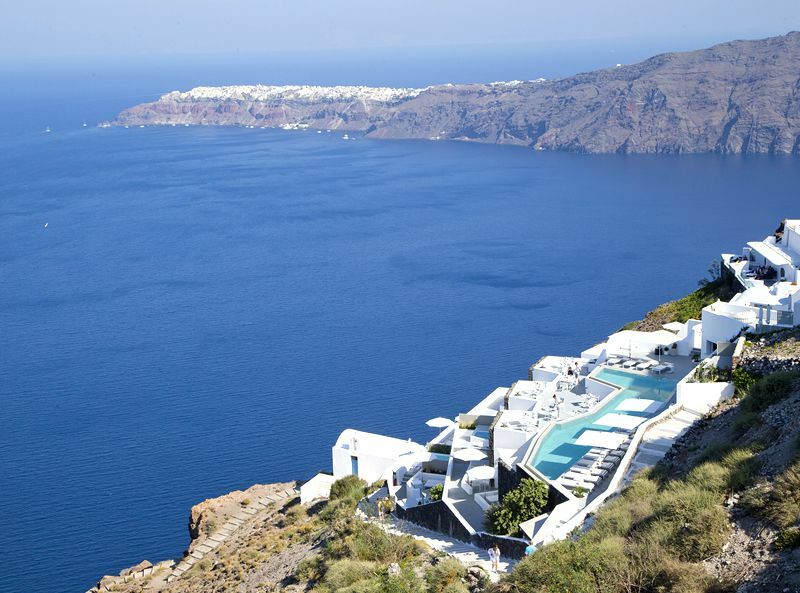 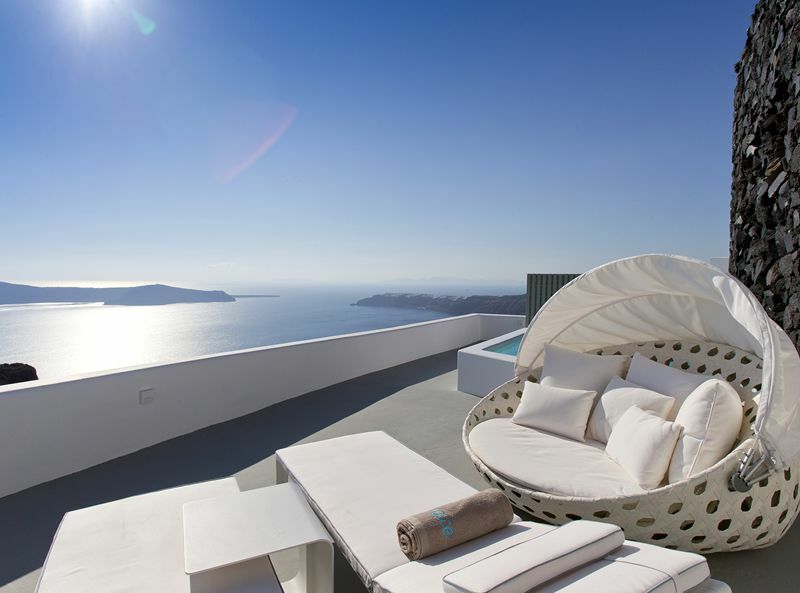 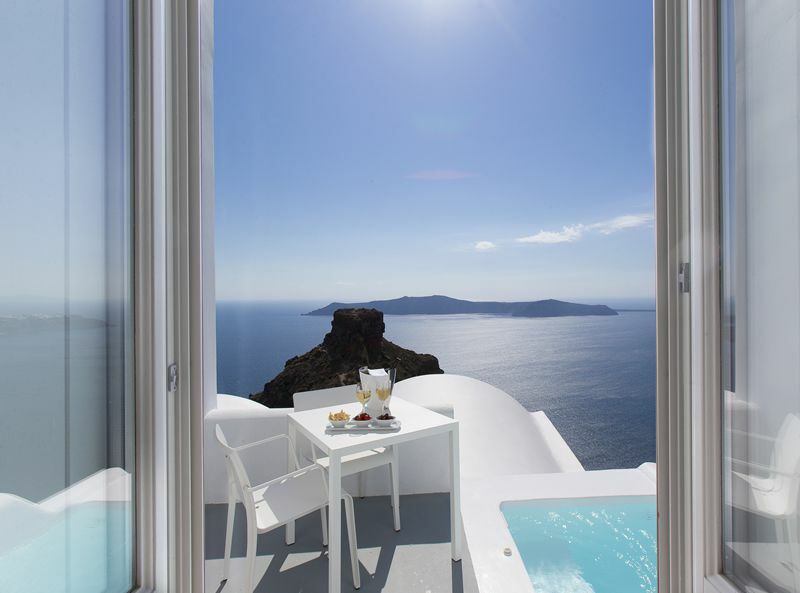 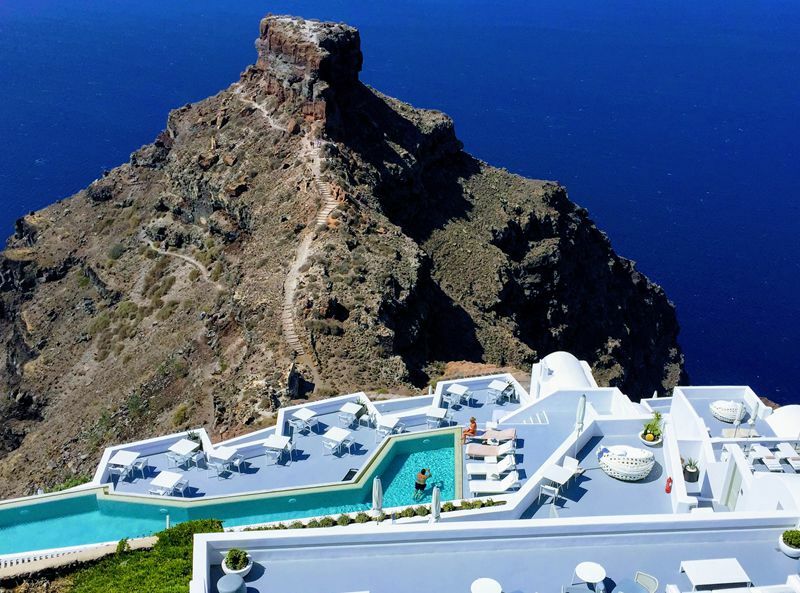 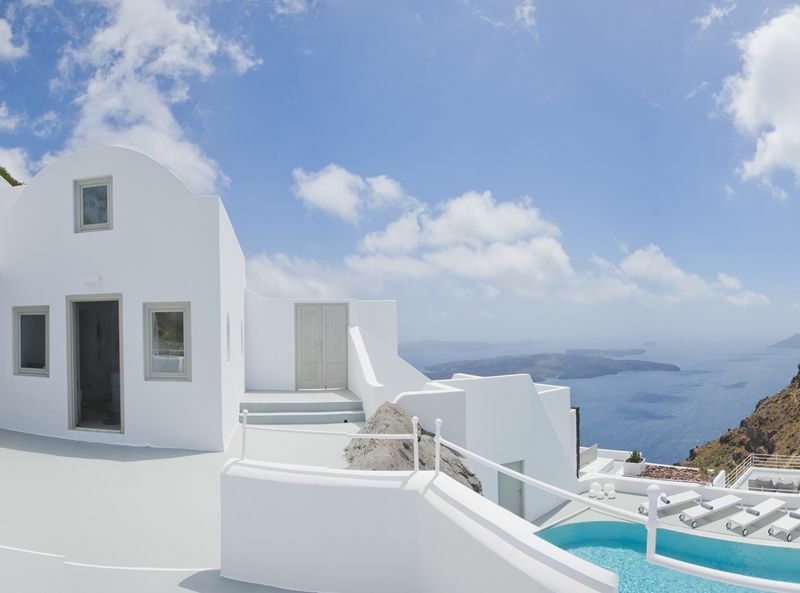 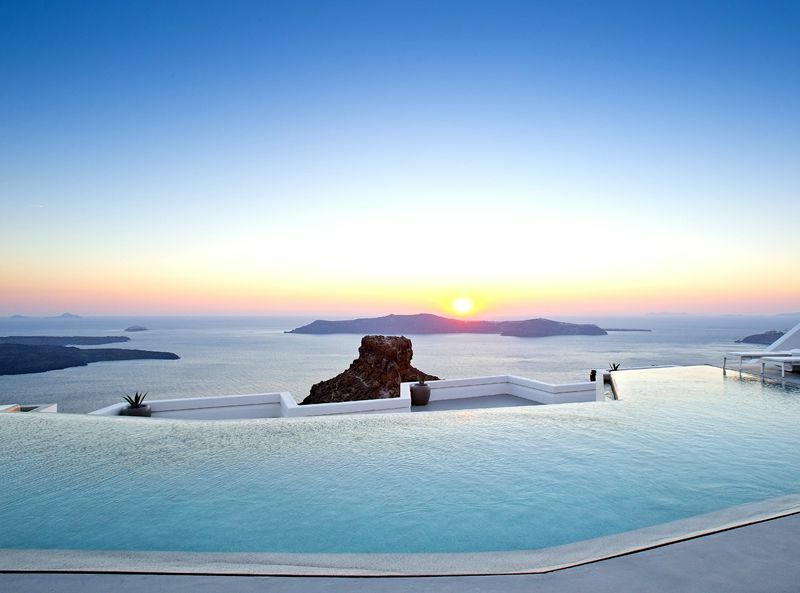 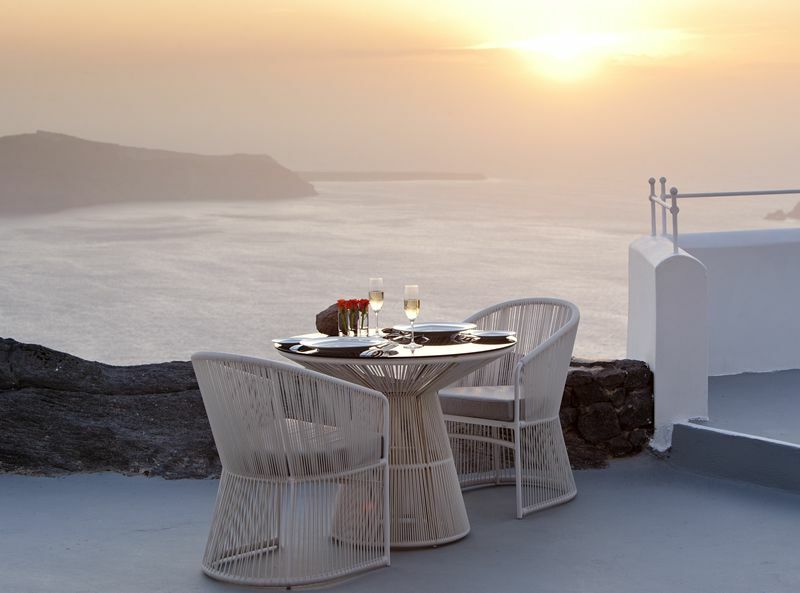 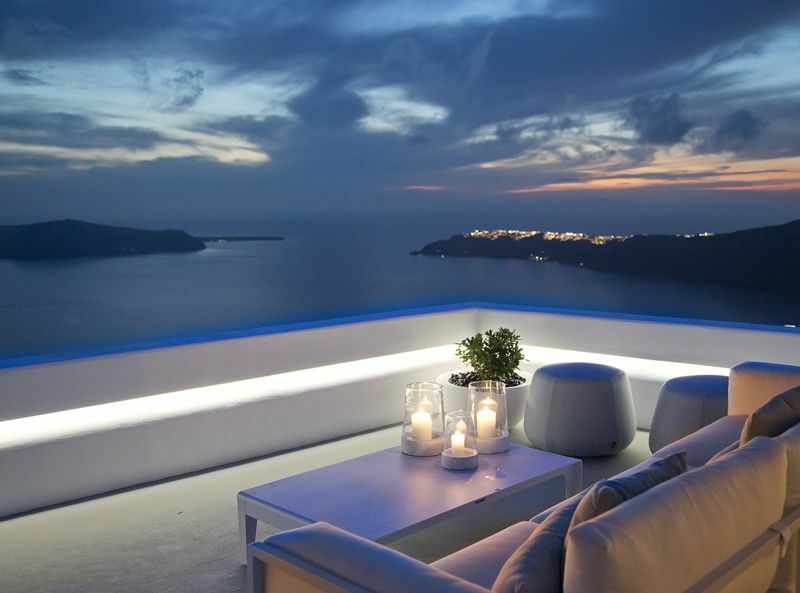 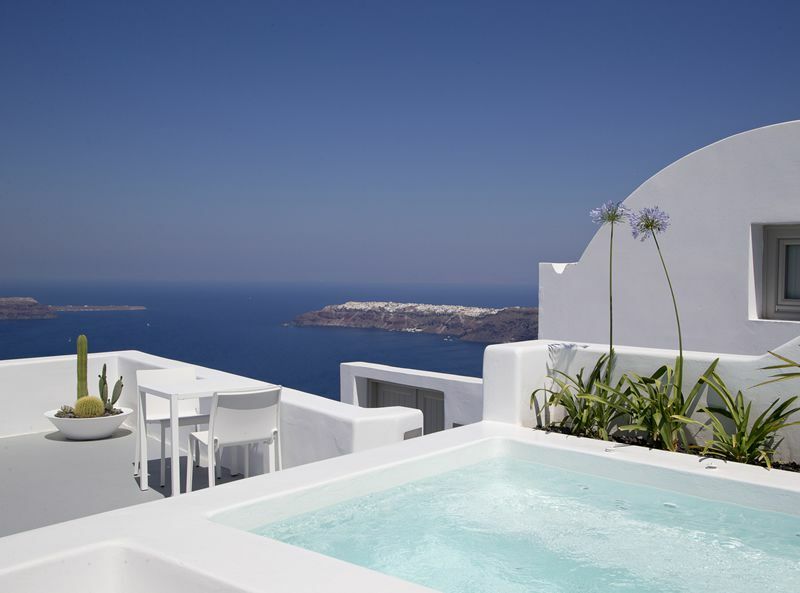 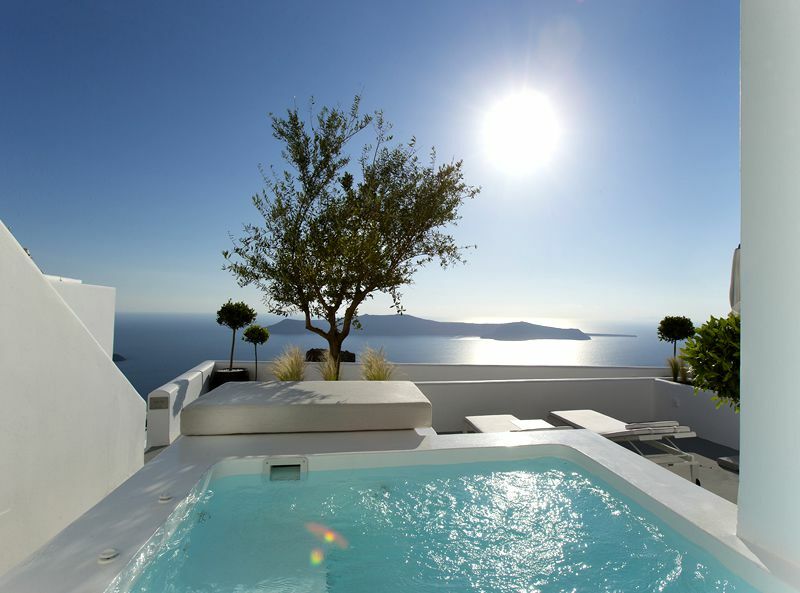 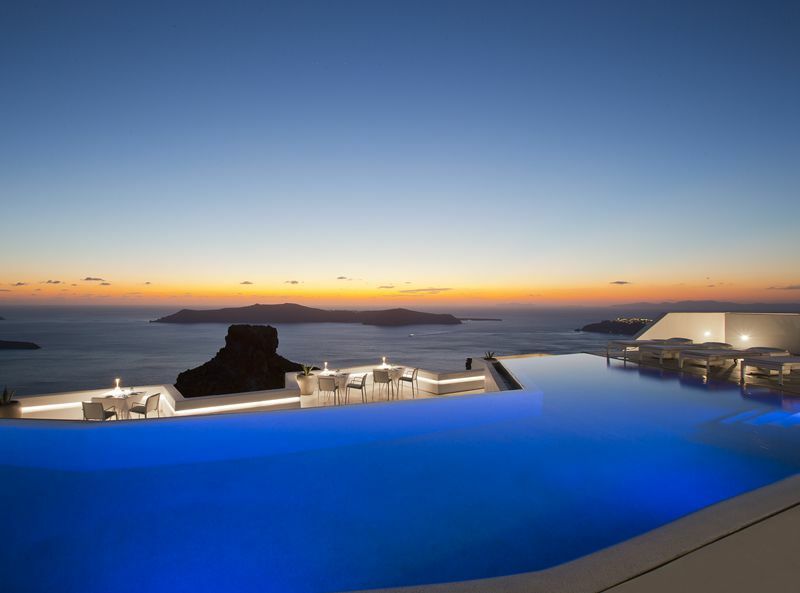 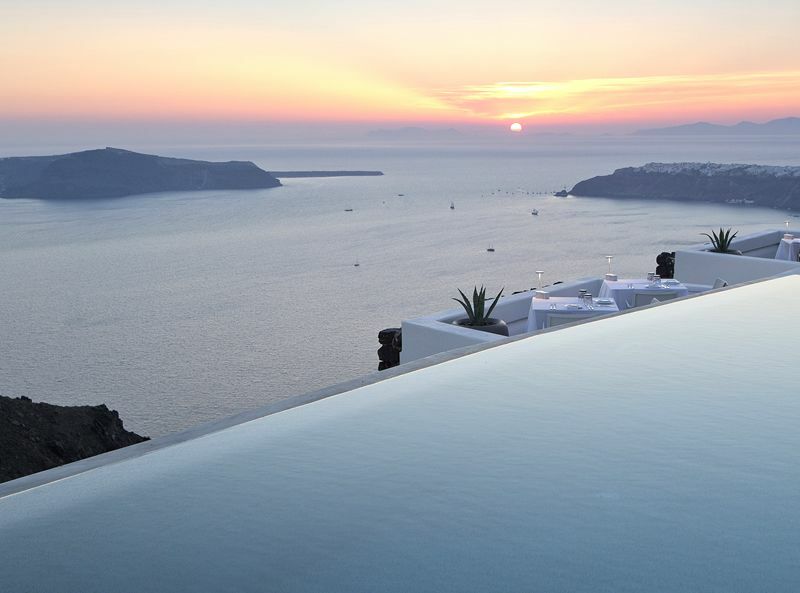 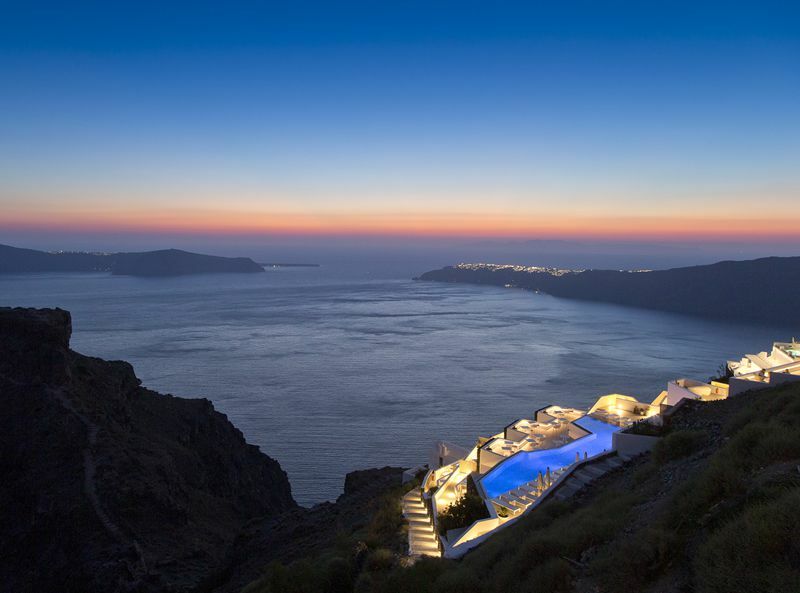 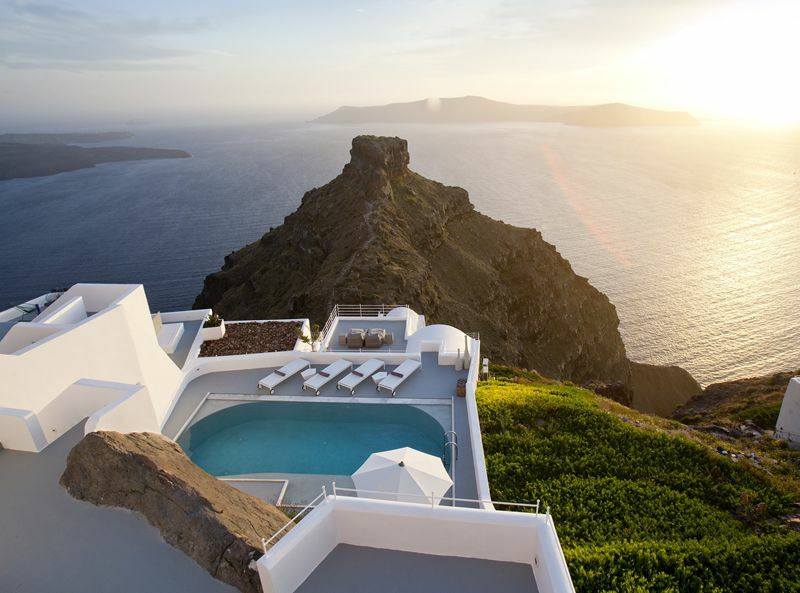 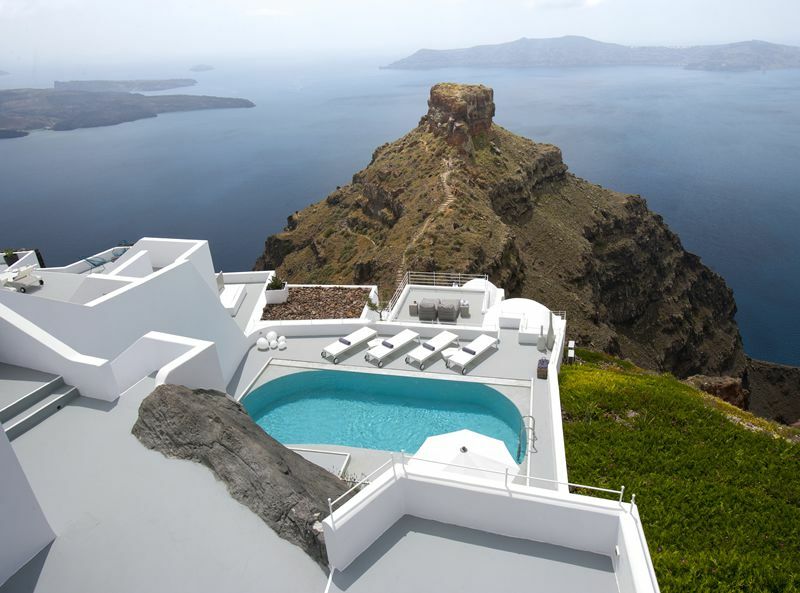 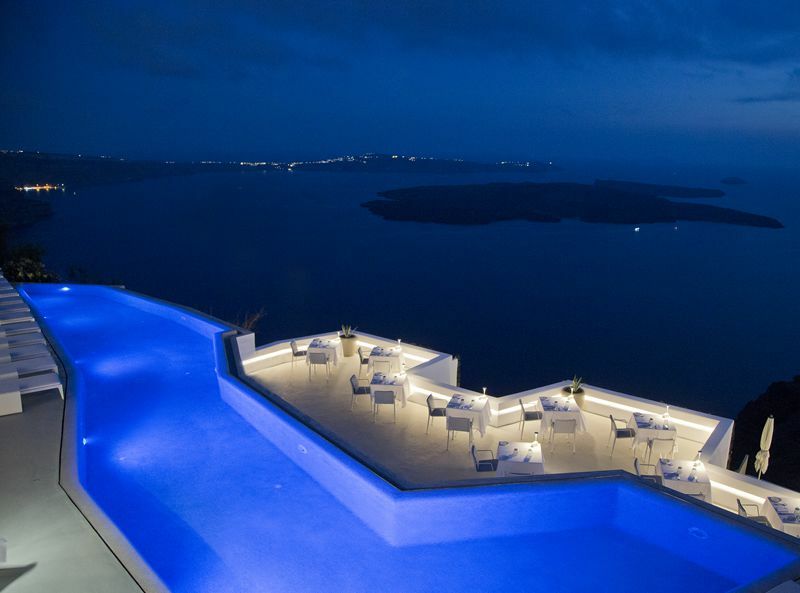 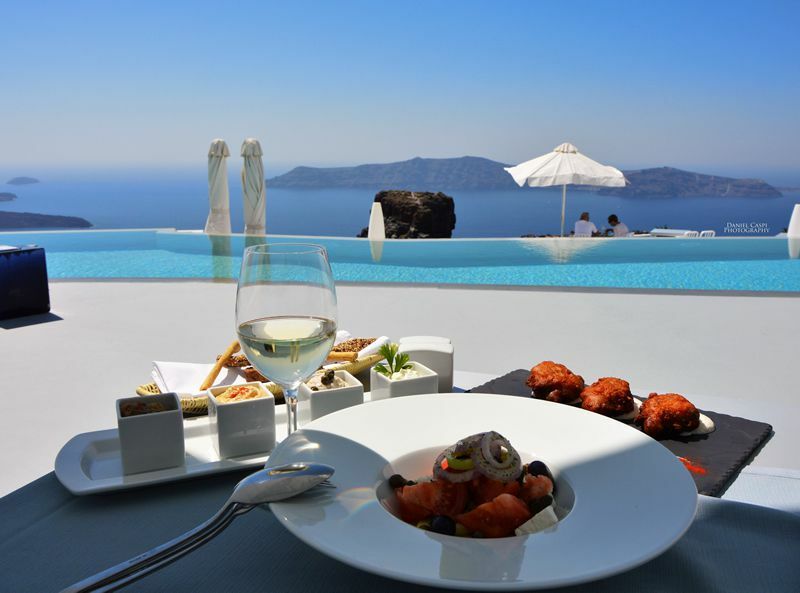 Located 1.2 miles from Fira, Grace Santorini is an oasis of pure luxury – it is not hard to tell why this is a multi award winning hotel. 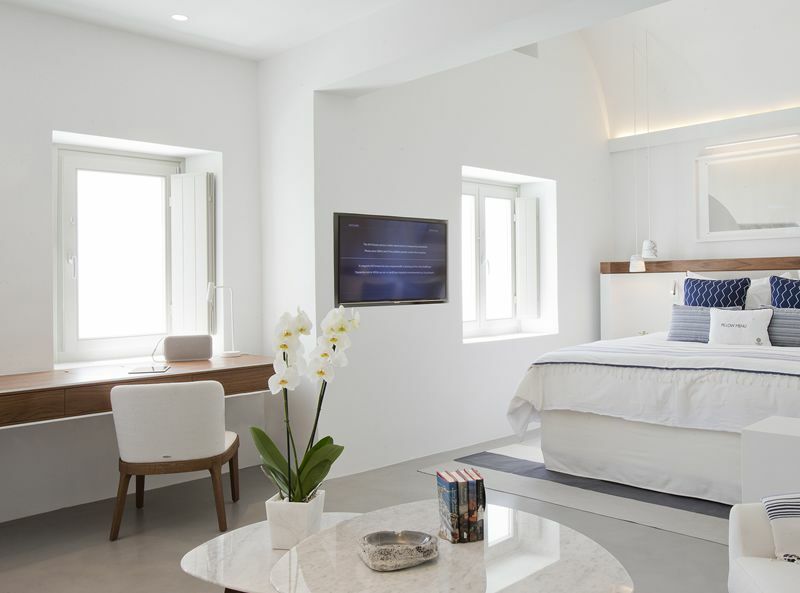 From the luxurious accommodation to the panoramic views and the exquisite service, guests will have a truly amazing experience at this boutique hotel. 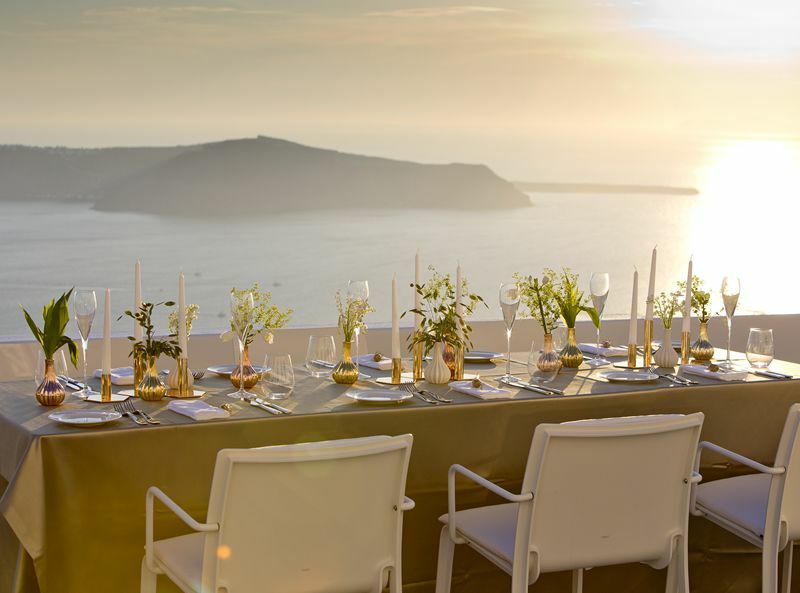 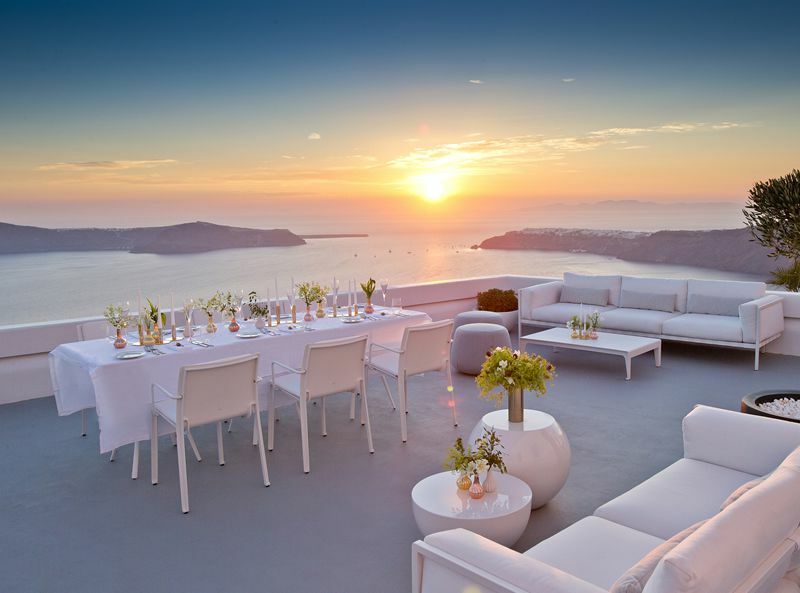 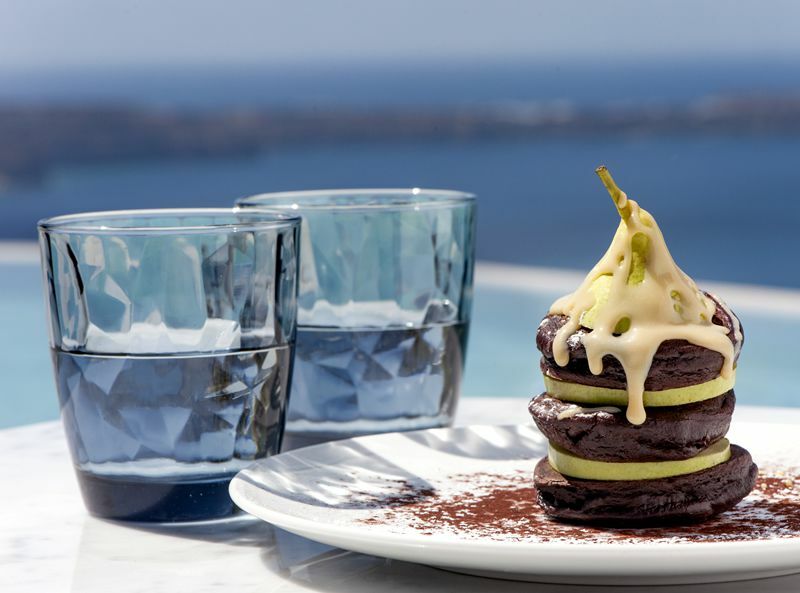 Guest can start the day with a Champagne breakfast and experience fine dining in the evening, indulging in Mediterranean cuisine whilst witnessing the mesmerising views and watching the spectacular sunset. 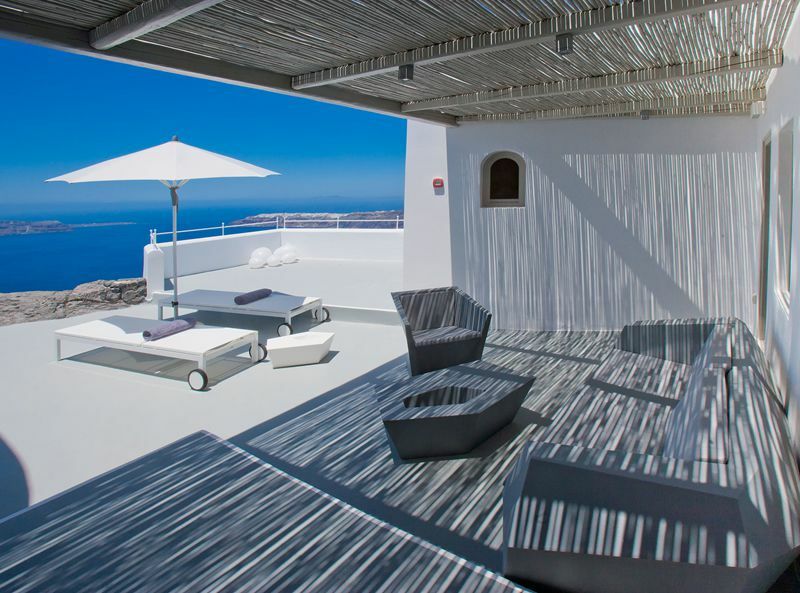 Situated in Imerovigli village, the hotel is 5 miles away from Monolitos Airport and 6.2 miles away from Athinios. 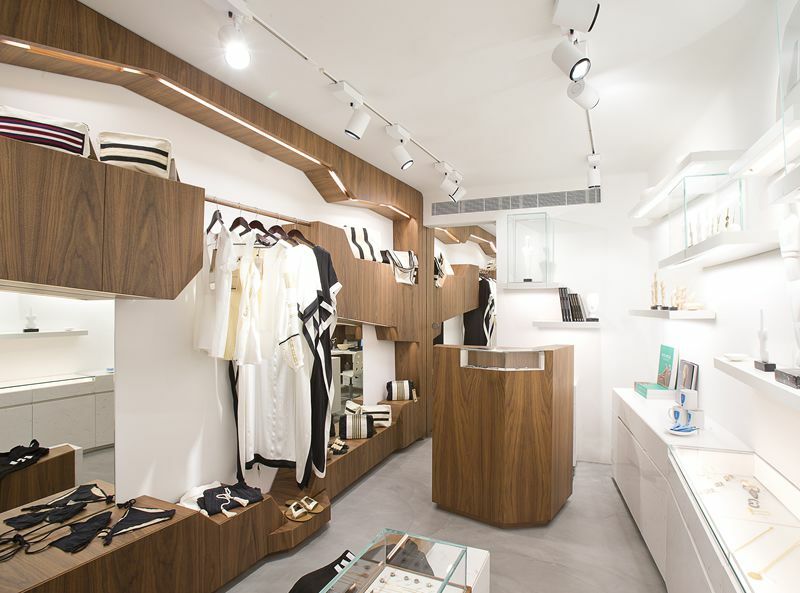 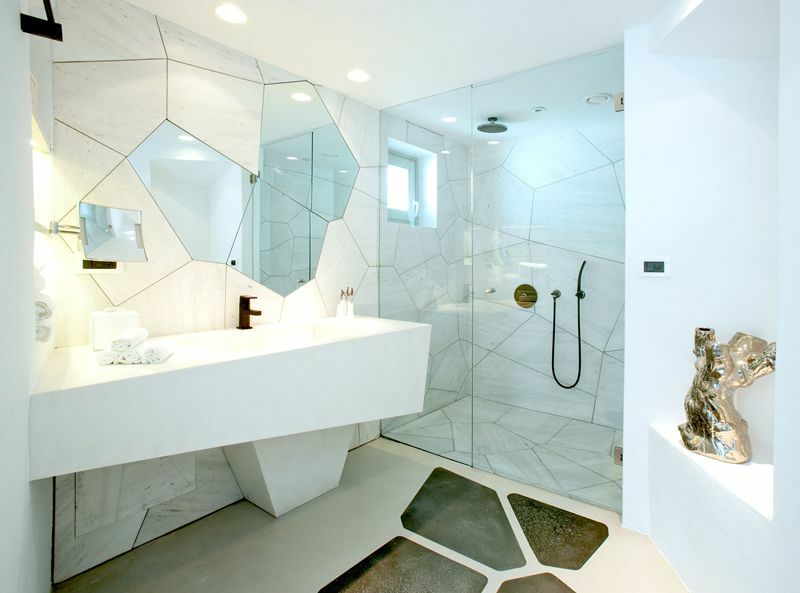 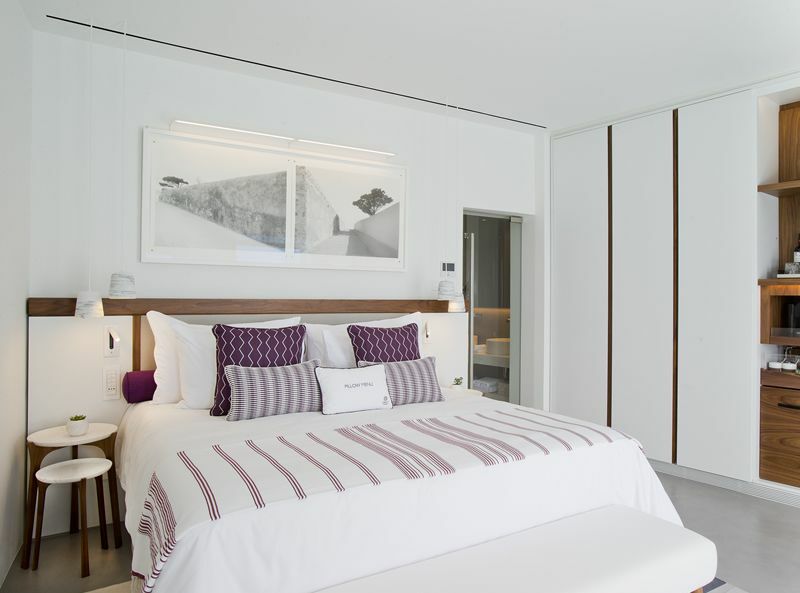 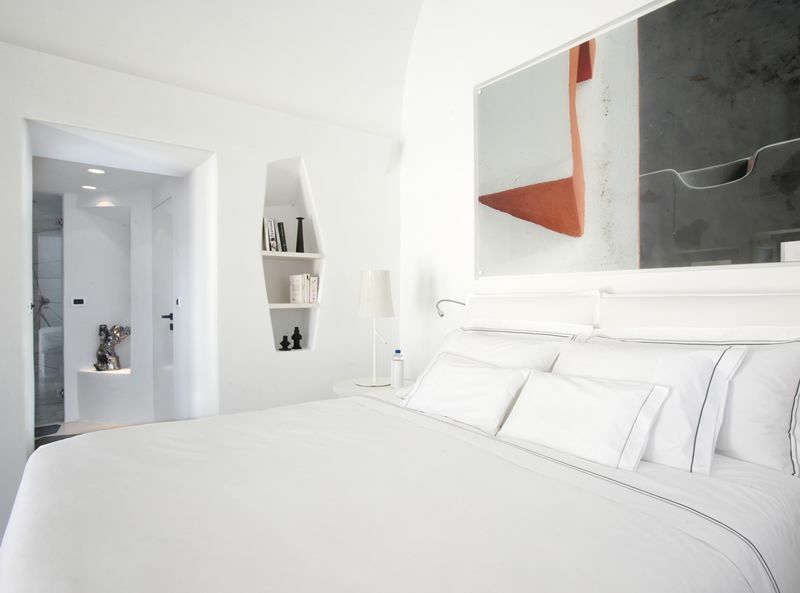 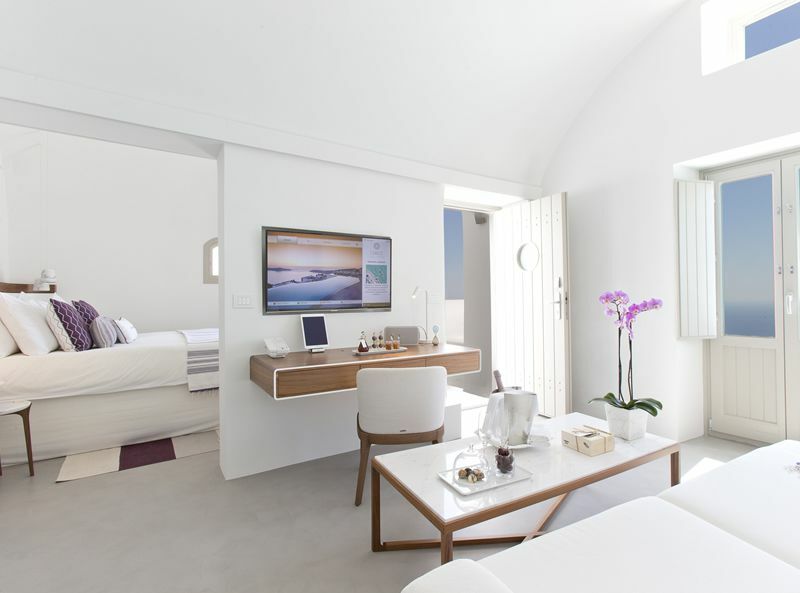 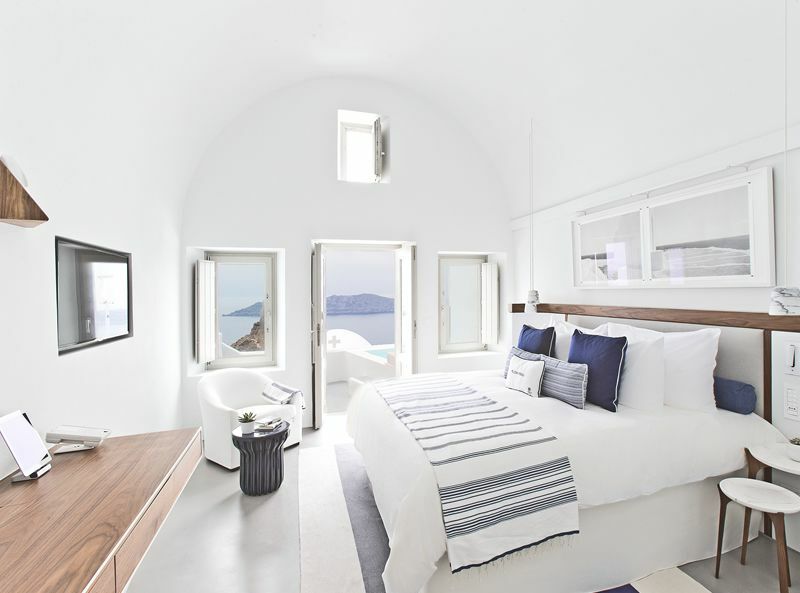 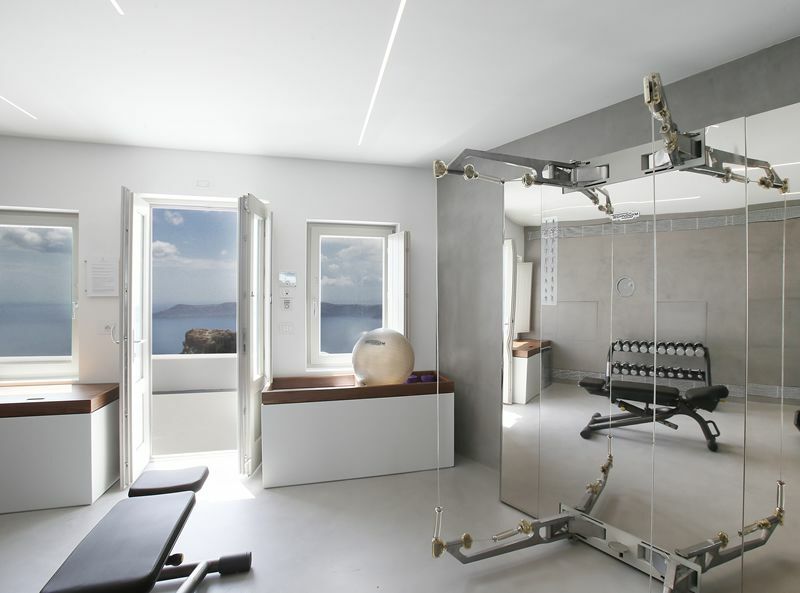 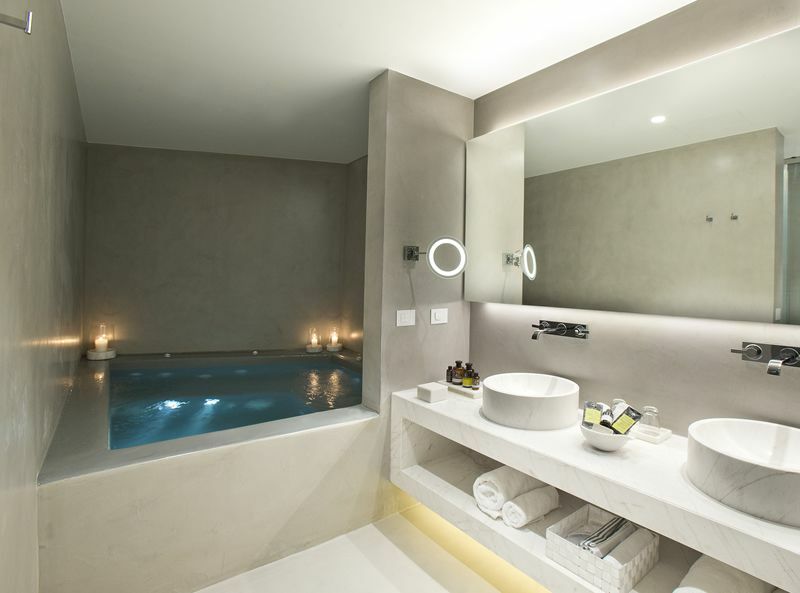 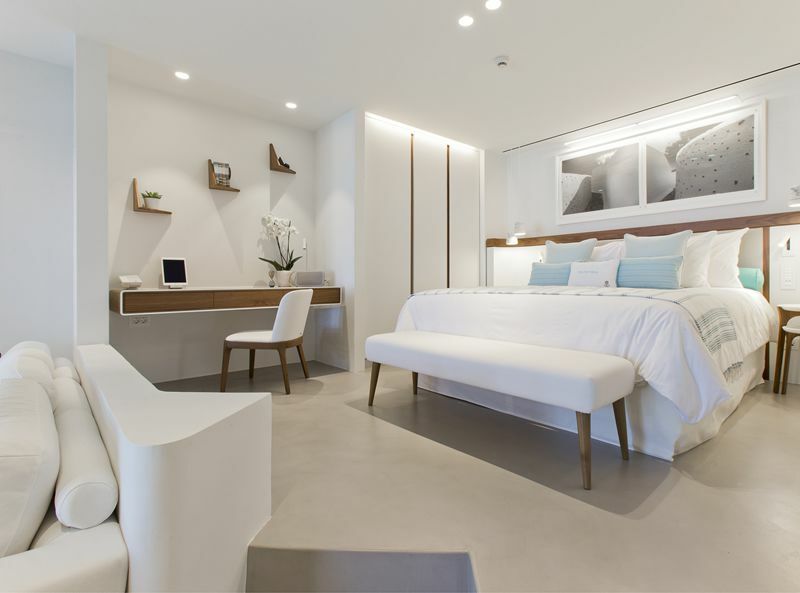 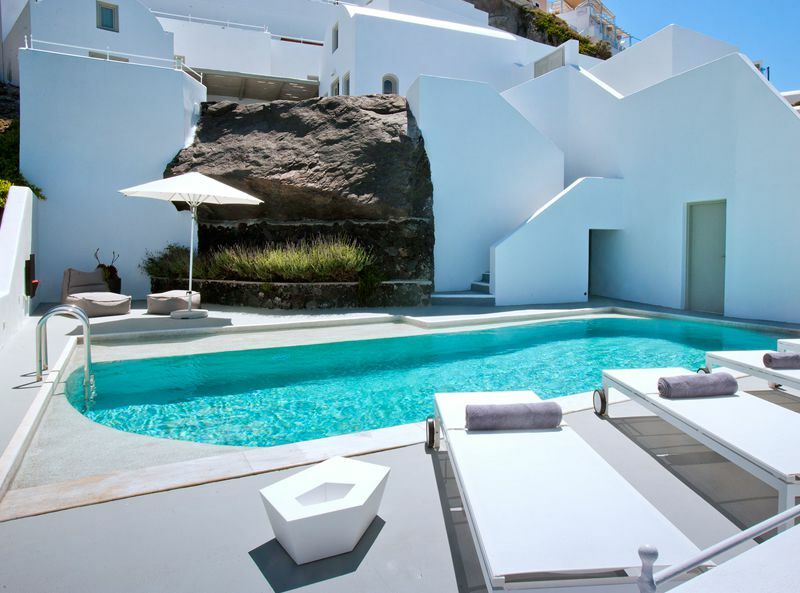 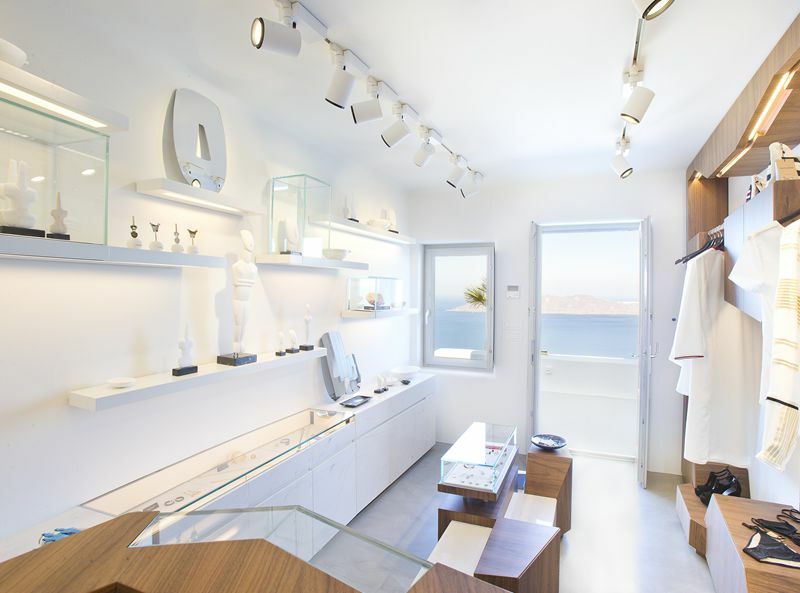 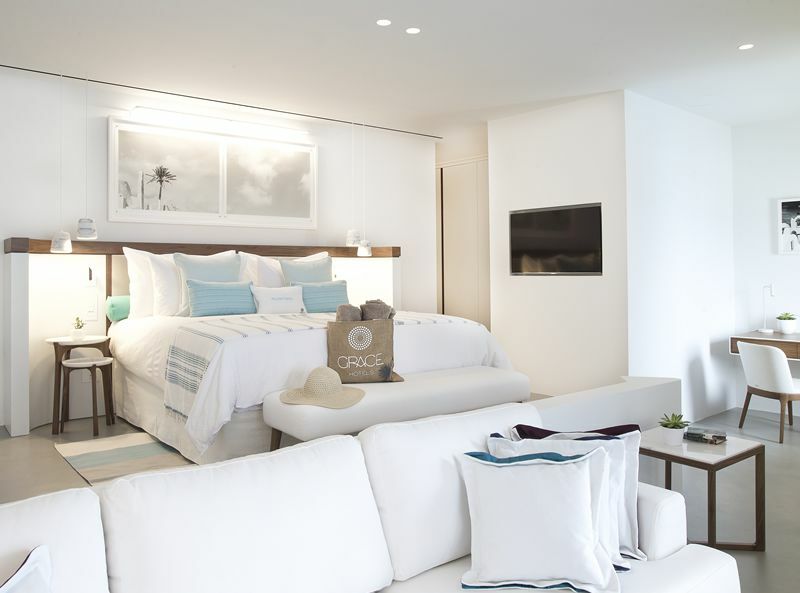 The rooms at the Grace Santorini exude luxury and class, each room is unique and finished is cool white tones. 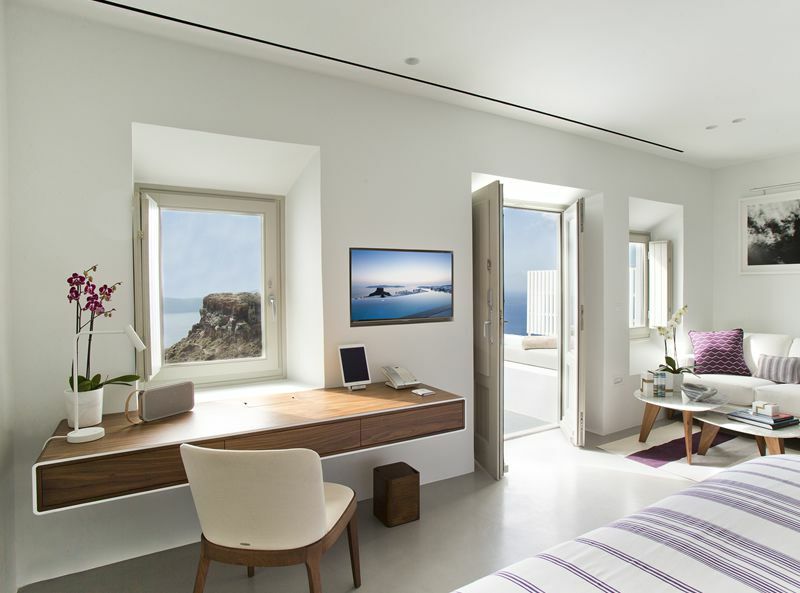 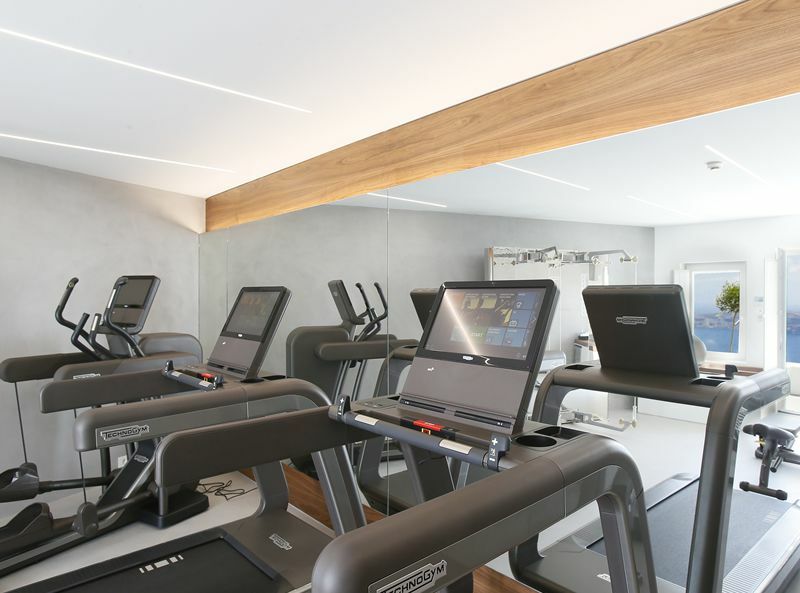 Facilities in the rooms include a king-size bed, air conditioning, satellite TV, DVD player, MP3 speakers, internet access, safe box, tea and coffee making facilities, hair-dryer, oversized shower, Apivita bathroom amenities, bathrobes and slippers. 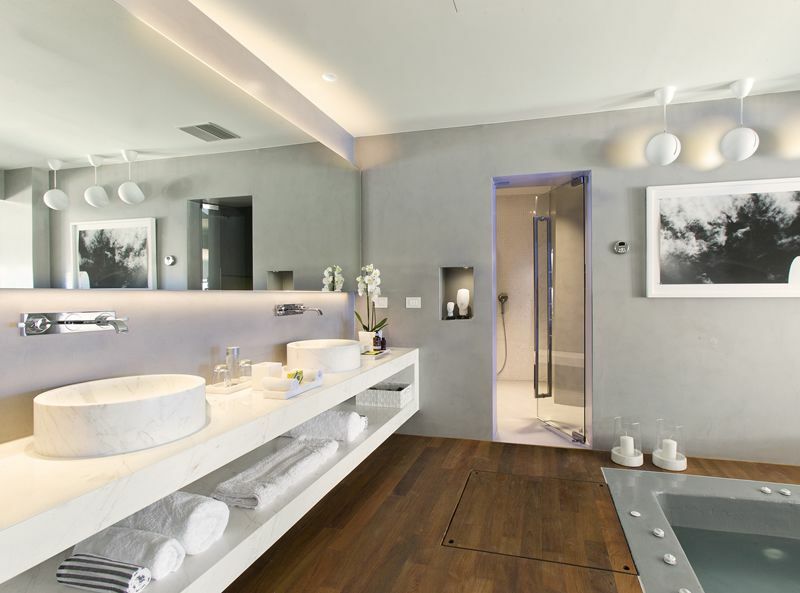 Some rooms and suites have additional facilities.